The Ionos F1 – RFID Transceiver Module can be utilized to build any UHF RFID application without the need to add any additional power or MCU modules. 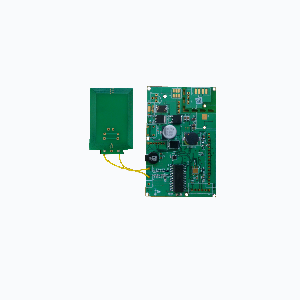 The board can be interfaced with any wireless module through the serial interfaces available for wireless data access. The RFID tag read / write range is upto 70 mm in open environment. The RFID transceiver module is automotive qualified and thus flexible to be used in any vehicle or school bus applications. The additional I/Os available on board enable integrating devices like LCD and keypad if required. Freescale Kinetis ARM Cortex-M0+ core. Low power focused serial communication interfaces. Upto 48 MHz operating frequency.